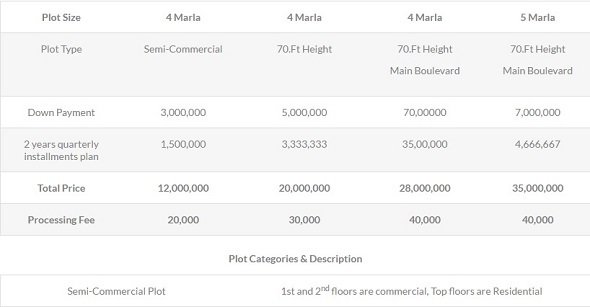 Al-Rehmat Housing Project offers limited commercial plots of 4 and 5 marla sizes with 2 years installment plan. It is an amazing location for any business in the city due to easy access from all corners of Lahore, and international standards of commercial development. Al-Rehmat Project is approved by LDA and it exists on a total land area of approximately 661 kanals of land. Booking is available on first come first served basis. Plots are fully developed and ready for possession/construction, so interested parties can consider this option for their business franchises. Booking of limited commercial plots of Al-Rehmat Project is available on first come first served basis, so you can directly contact Bahria Town Lahore to book your plots before all plots are sold out.